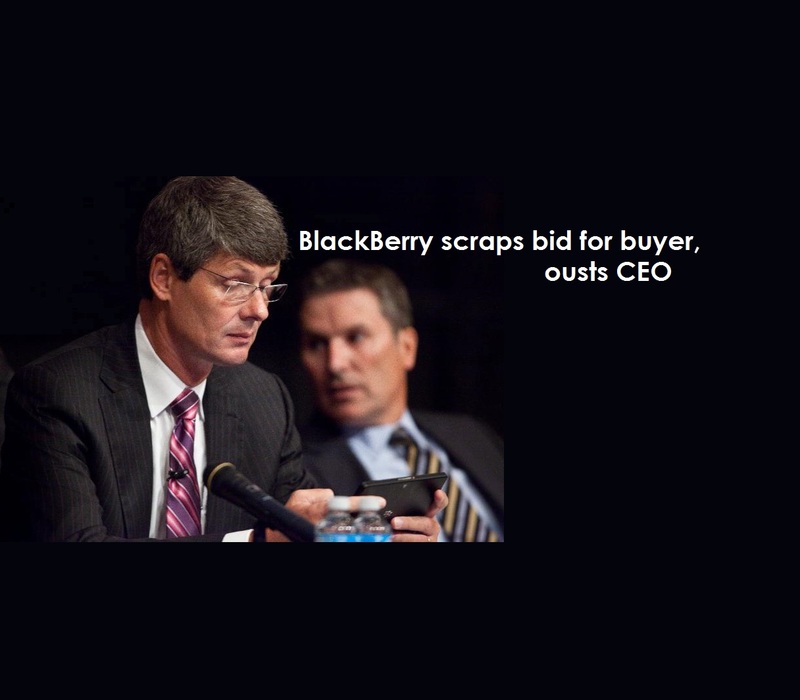 BlackBerry abandoned hopes of finding a buyer, and instead pegged its future on a $1 billion cash infusion and new management, after the departure of its chief executive. The Waterloo, Ontario-based company’s announcement comes nearly three months after its largest shareholder Fairfax Financial offered to buy the rest of the business and take it private. Fairfax instead announced it will invest $1 billion in a private placement, and Fairfax chief Prem Watsa will be lead director and CEO Thorsten Heins will step down, and will be replaced on an interim basis by John Chen. Social network website Facebook, Chinese computer maker Lenovo and investment firm Cerberus backed by two BlackBerry founders reportedly kicked the tires, but no deals were reached by today’s deadline. BlackBerry helped create a culture of mobile users glued to smartphones, but lost its luster as many have since moved to iPhones or devices using Google’s Android software. BlackBerry unveiled a new platform in January as it sought to regain lost momentum, but its most recent numbers suggest this has been a spectacular failure. The company announced in September that it was lying off 4,500 staff — or one third of its global workforce — after losing $965 million in its last quarter as sales plummeted.